In Orthodox Christian faith, church vessels are widely used in liturgical services and sacraments. 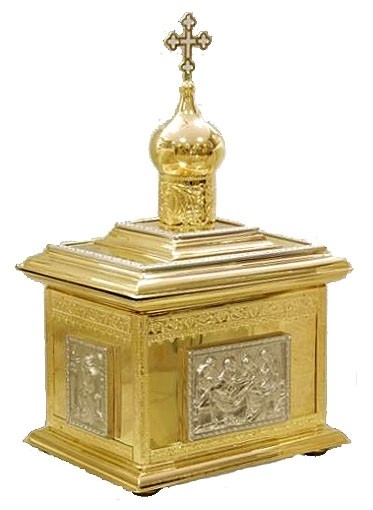 Whether you’re looking for a distinguished traditional Orthodox Church water blessing vessel or a high quality Holy Myrrh vessel, Istok Church Supplies has the perfect options for you. Since the earliest days of the faith, blessed holy water has been used for the purpose of spiritual cleansing. It is used for blessing people as well as objects such as candles, Paschal eggs, Easter foods, liturgical instruments and much more. 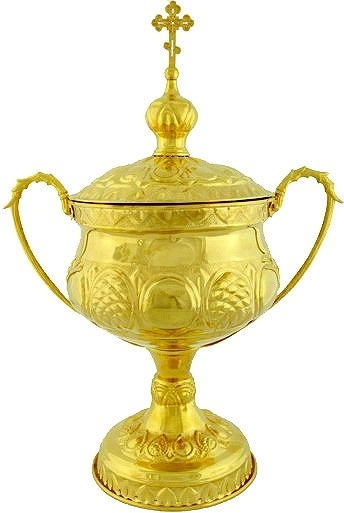 We have an excellent collection of brass church vessels for holding holy water. We offer a wide range of designs ranging from simple and elegant to ornate and elaborate. 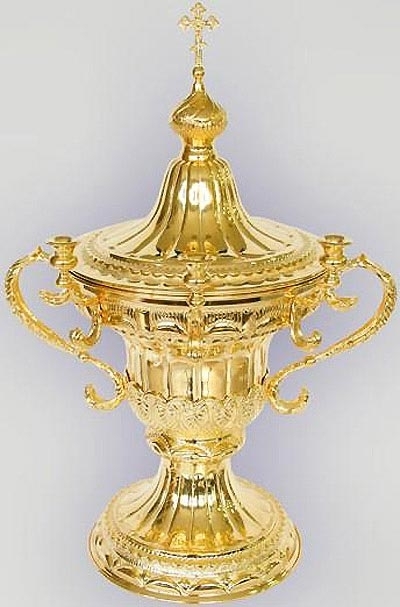 Many of the design feature exquisite detailing such as high polishing, gold gilding and nickel gilding. The water holding capacities for each product are mentioned in the product description and you can choose from water blessing vessels that can accommodate anything between 0.5 liters to 5 liters. Apart from traditional Orthodox Church water blessing vessels, we also offer Holy Myrrh vessels and vessels for Holy Particles. A Holy Myrrh vessel plays an important role when it is used to hold holy anointing oil for celebrating the Sacrament of Chrism. Sacred anointing oil is also used for the consecration of a Holy Altar or a church building and for various other rituals. 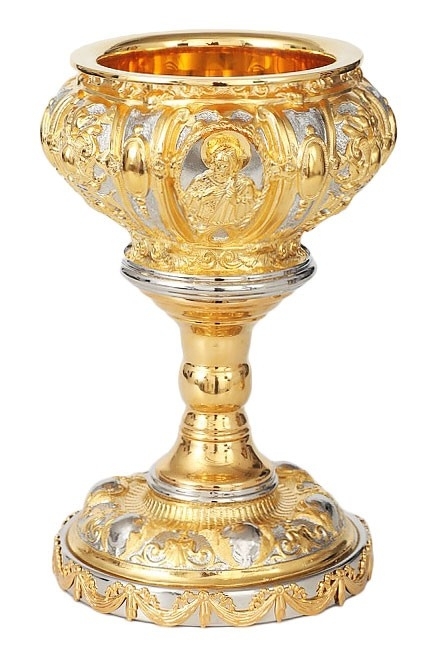 As it has a significant role in helping bestow the gifts of the Holy Spirit, we offer Holy Myrrh vessels of the finest quality. 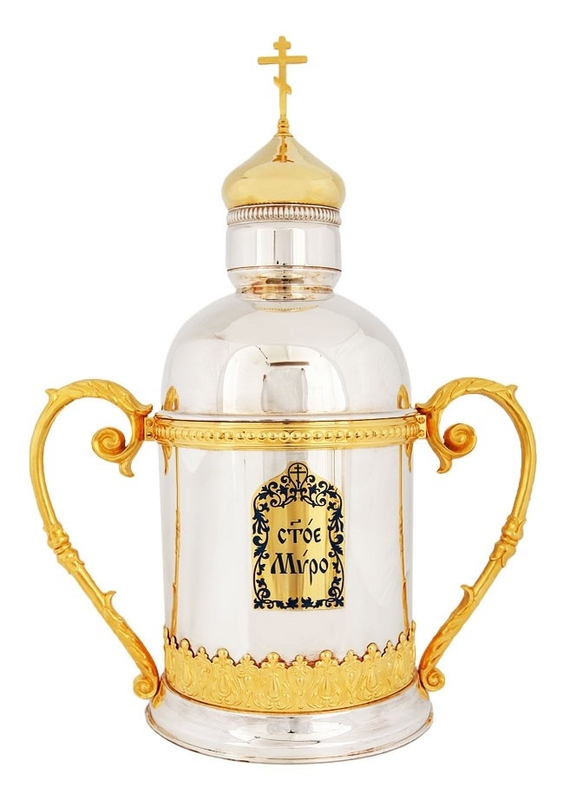 You can also find traditional church jewelry vessels for oil featuring exquisite hand-painting, gold-gilding and enamel. The size and weight of each product is mentioned to help customers make well-informed decisions. Customers can also zoom into images to get a better view of products. Whether you prefer a simple water blessing vessel or an elaborately carved one, you won’t go wrong with your choice when you shop with Istok Church Supplies.